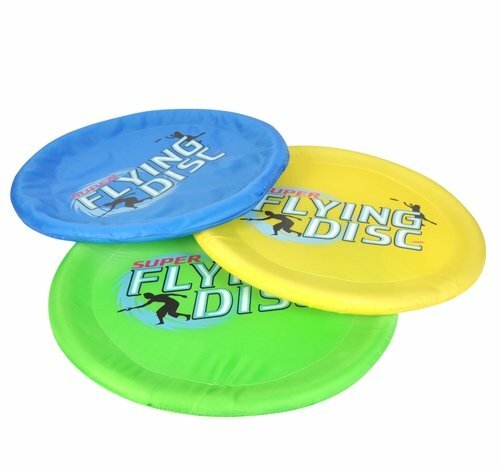 18'' FLYING DISK, Case of 36 by DollarItemDirect at Scruffs Game. MPN: INRCADIS1836. Hurry! Limited time offer. Offer valid only while supplies last. A unique high flying prize. These flying discs are much bigger than the norm, measuring 18 inches in diameter, and feature a light durable fabric. A unique high flying prize. These flying discs are much bigger than the norm, measuring 18 inches in diameter, and feature a light durable fabric. Each dozen in display box.